Hello all! I hope you are all staying warm. This cold front is nuts! I thought since the temps are currently frigid, I would share some of my favorite recent purchases. They are all comfy and feel like Pjs, but keep this momma looking put together. Many of them are also less expensive versions of some more expensive items. I mean, I am not paying full or designer prices in order to be spit on or covered in small people’s food. 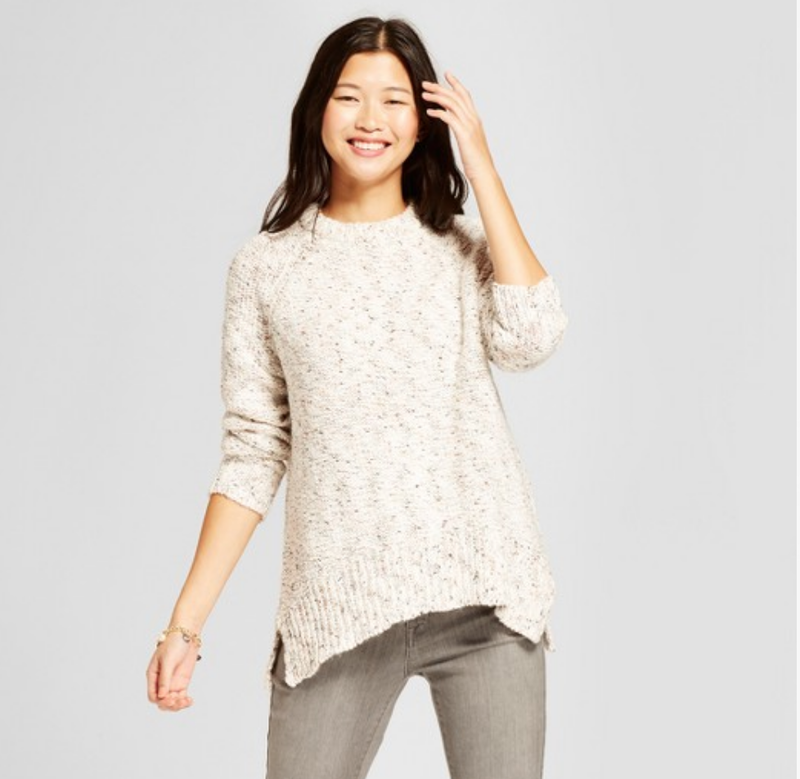 Target sweater- I am obsessed with this sweater. It is so comfy. It can be dressed up or down, and it’s not itchy at all. I think I wear this at least once a week. The colors are perfect too. I really love the gold thread that runs through it. 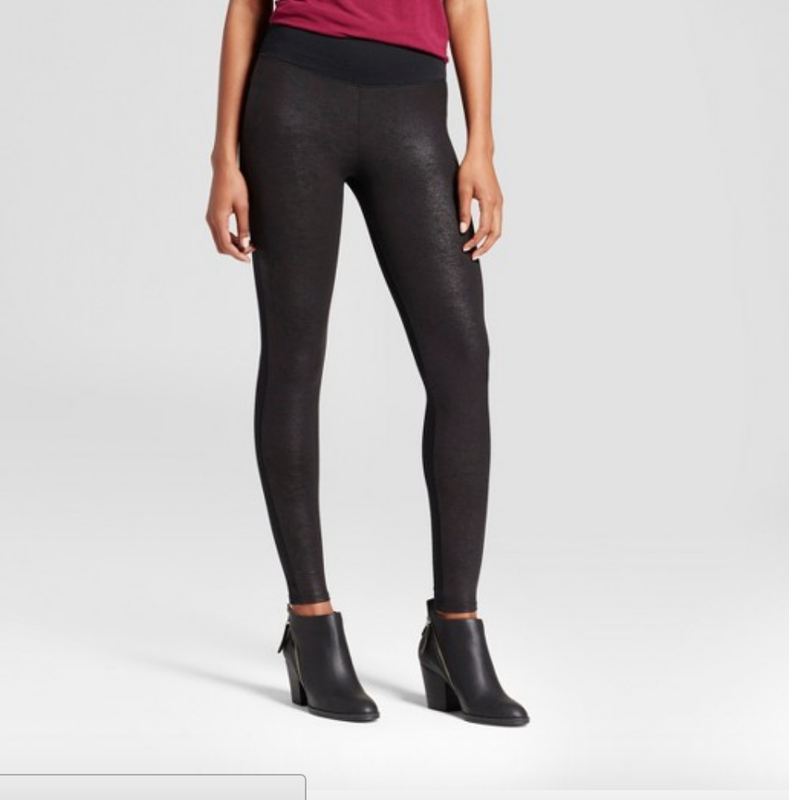 Assets Faux Leather Leggings- So I know you have heard about the amazing Spanx leggings, right? I was wanting to get a pair, but at this point in my life and trying to stay within a budget- I decided to try the Assets (by Spanx) leggings from target. And I love them- I never tried on the fancy ones so I can’t tell you the differences. I know that the Spanx leggings are the faux leather all over, and the Assets leggings are faux leather on the front and a pointe material on the back. They are warm, and comfy and cute- so I love them. Free People Sweatshirt- Now this is an item I splurged on. It had been on my wishlist for over 6 months and I happened to walk into the free people store when Bryan and I were on a date. aAnd the rest, as they say, is history. It is thick and cozy. It is long enough to wear with leggings. It can be dressed up or down. It can be worn on or off the shoulder. It’s just amazing. Fuzzy Loafers- Again, I chose the knock off of the very expensive shoe- but I know that shoes lined with fur are not going to be in style forever, so I don’t want to spend the money- but for now, I am loving these and they are so warm! If you get these- size up a half size. I would love to hear of any winter budget friendly finds that you love! I am always looking to add to my mommy uniform of sweaters, jeans, tees, leggings and comfy shoes!